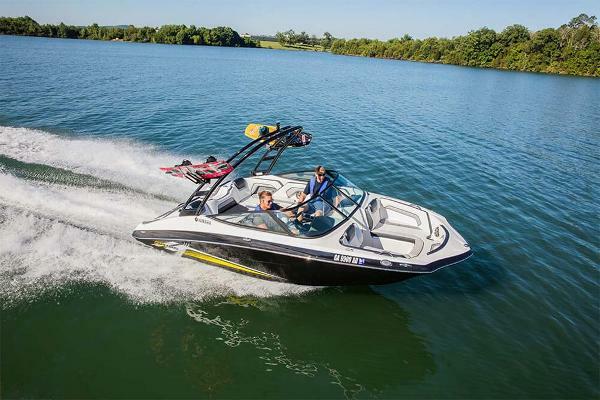 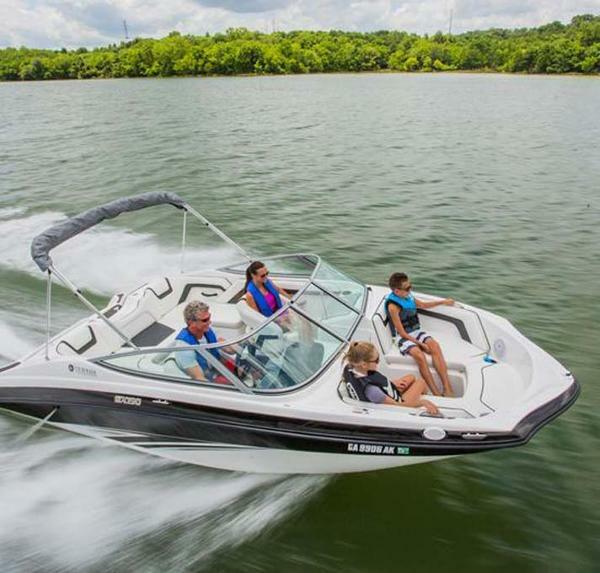 2017 Yamaha 212 LTD S The Yamaha 212 LTD S has an elegant design and is equipped for water sports. 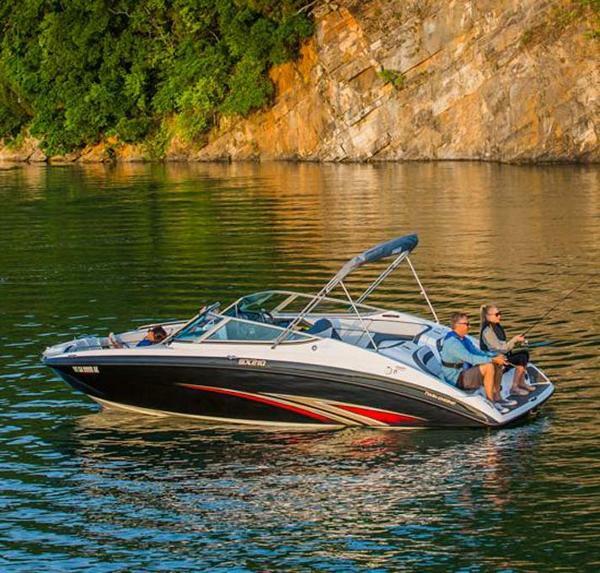 Some features that come with this model; Anchor & bow ladder locker, 13 drink holders, Bimini Top, Water level swim platform, Cruise assist, Compass, depth finder, Dual captains chairs and connext with touchscreen & joystick. 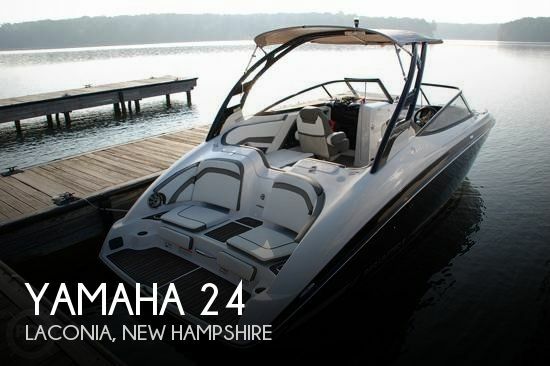 2017 Yamaha 242 Limited S The Yamaha 242 LTD S provides luxury features with a striking design. 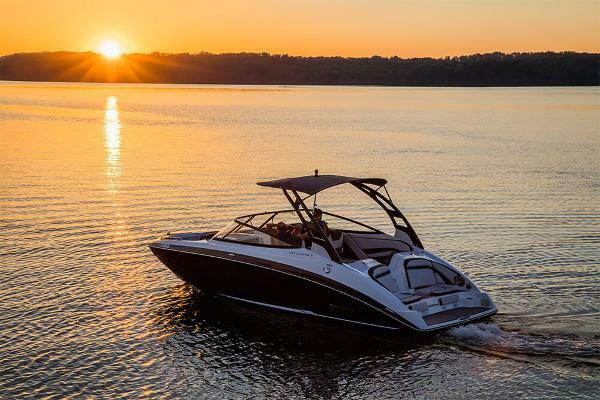 Features with this model; premium teak-style marine grade floor mats, lockable glove box, matine speakers (8), freshwater shower, folding aluminum wakeboard tower with flush mounted LED lights (5) and windshield mirror. 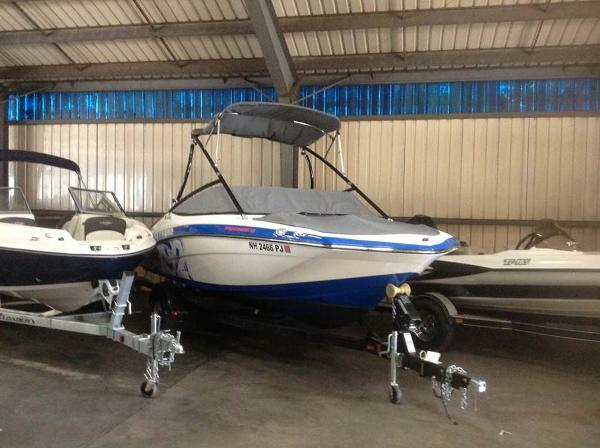 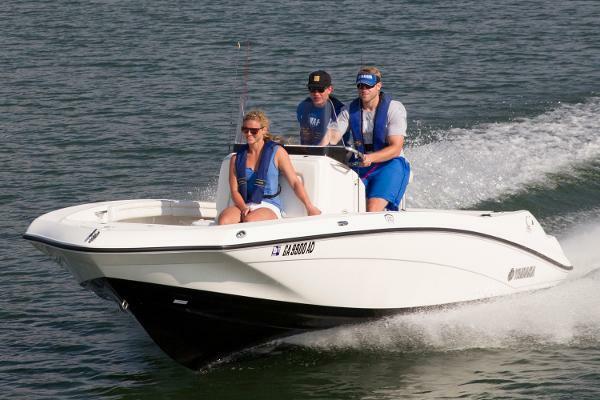 2015 Yamaha AR192 2015 Yamaha AR 192 powered by a Yamaha 1.8L High Output marine engine delivering 210hp. 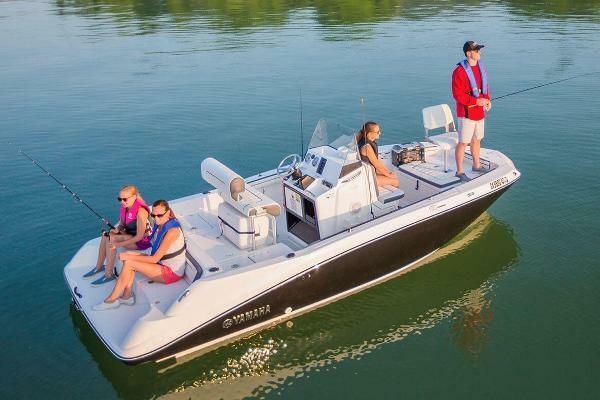 This package includes a custom trailer, bow and cockpit cover, integrated swim platform, wake tower with bimini and 3 position No Wake control mode. 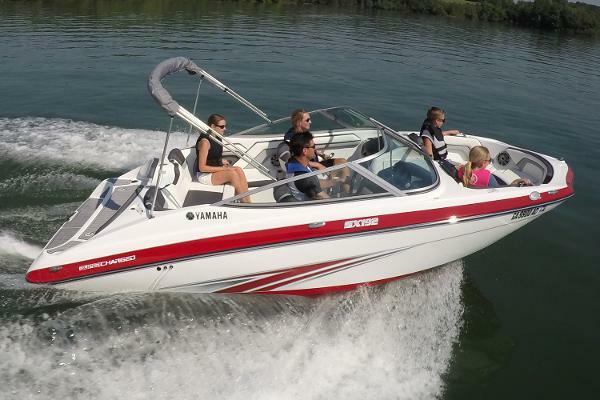 This jet boat is easy to drive. 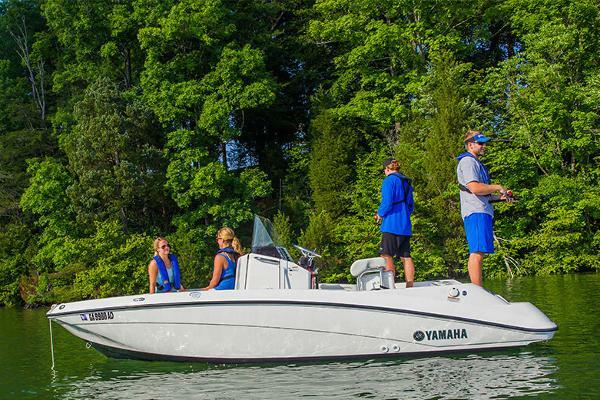 2017 Yamaha 190 FSH The Yamaha 190 FSH allows for 360 degrees of fishing and family fun. 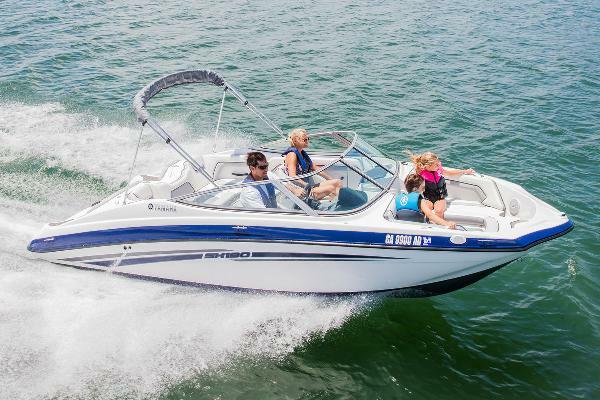 Some of the highlights with this particular model are; bow pedestal seat with back rest, center console head compartment with curtain, bimini top, convertible leaning post and dual battery set up. 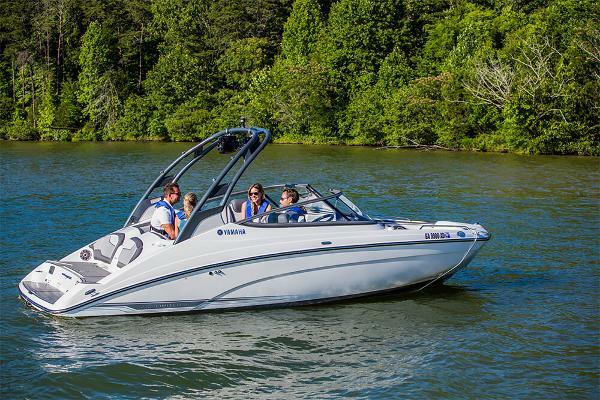 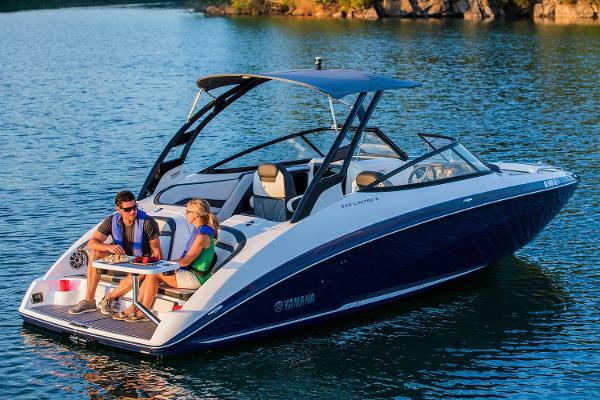 2017 Yamaha 242LTD S The Yamaha 242LTD S has luxury features and striking design. 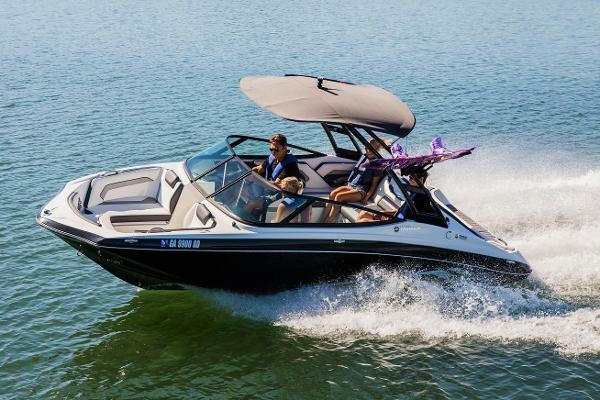 Some highlights for this particular model include; premium teak-style marine grade floor mats, lockable glove box, marine speakers (8), freshwater shower, folding aluminum wakeboard tower with flush mounted LED lights (5) and windshield mirror.